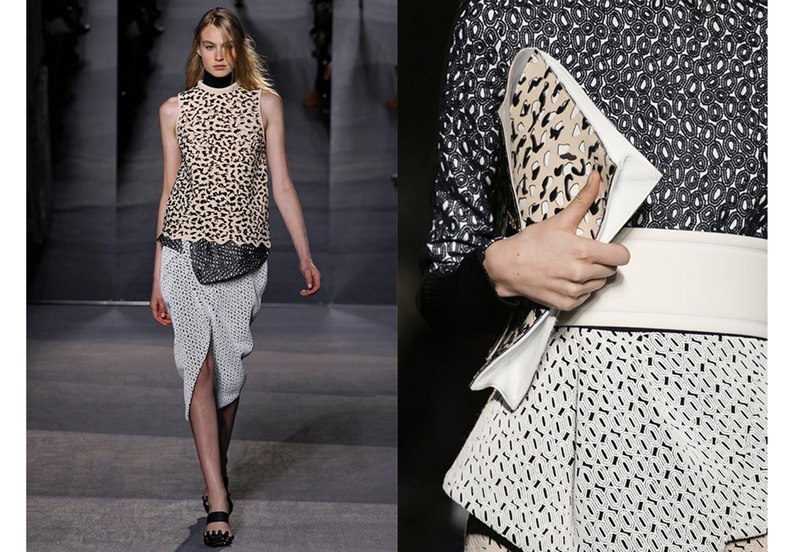 I love feminine masculine trend for dressing and Alessandro Dell’acqua has it down to a fine art! With a mainly monochrome colour palette and wearable classic shapes such as, blazers, sweaters, shirts and skirts with an added element to them; gloss, sequins, and sheer for evening added an element of glamour and sophisticated edge to the spring summer collection from No.21. 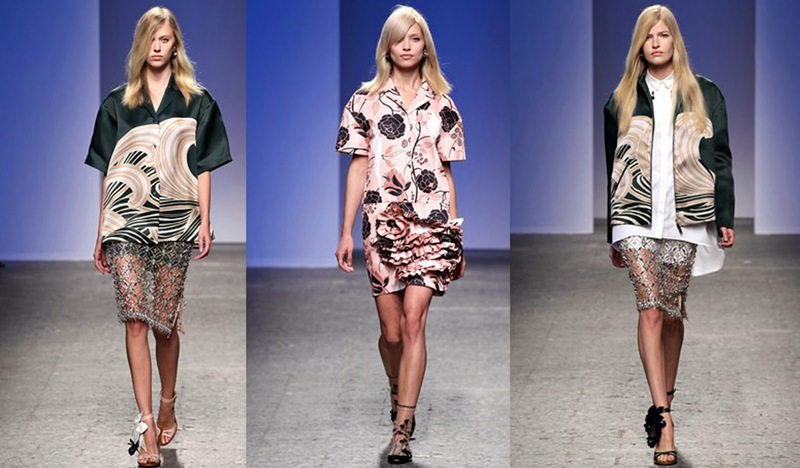 We even saw a reworked and updated Hawaiian shirt which was given a new lease of life with a ruffle-hemmed dress, palm prints and wave formations roamed further across shirts and skirts. Maybe not the most colourful Spring Summer collection but a great collection, which is what I was looking for.